In 1863, a missionary named Emmanuel Boehringer was traveling north from Virginia when he passed through Sharpsburg in September. There he met with a scene of devastation and misery. He stayed to help tend the wounded of the Battle of Antietam and was haunted by the thought of so many new orphans, a forgotten casualty of war. Inspired to make a home for them, he founded the Orphan’s Home of the Shepherd of the Lambs. The name was later changed to Bethany Orphans’ Home, and hundreds of children were cared for and educated over the years. 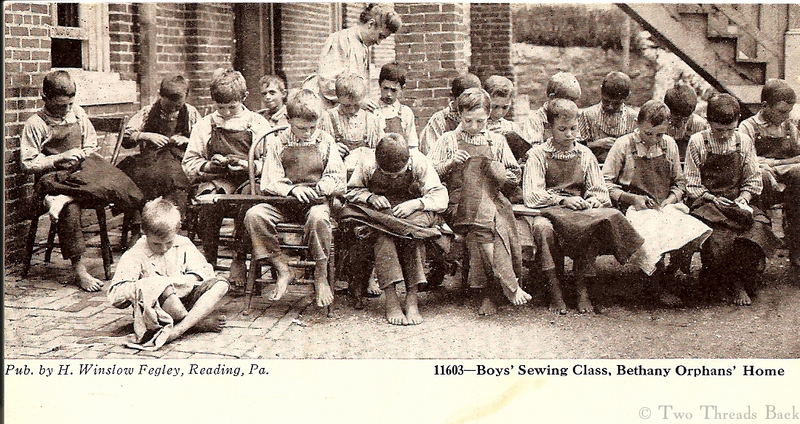 Boys also learned farming and girls learned domestic arts. But wait! Sewing is not just for girls!